In love with this color and love how you belted the dress to make it form flattering! Questo colore è fantastico e ti dona molto... bellissimo anche il rossetto in tinta! That colour looks incredible on you! I love this. You look great in this color and dress. Thanks for joining the Top of the World Style linkup party. 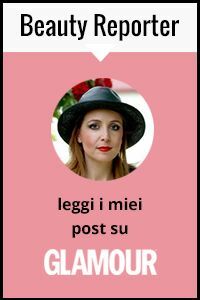 Bellissima e super elegante, quell'abito sembra fatto apposta per te! Anche il colore ti dona tantissimo! Dear Vale, yes such a dress is a wonderful summer outfit and your dress is simply perfect! As much as I like the pretty dress, what really makes this outfit sing for me are the touches of black in the shoes, belt, sunnies and bag. They unify the ensemble and make it look like it's all one piece. Brilliant combination! This is such a pretty and elegant dress. The color is amazing. Colore stupendo che ti dona molto, sei elegante e femminile. Bello anche il rossetto! The color is so vibrant, it looks very elegant on you. The green chair is a wonderful strong background for you and the dress. Decisamente elegante e sofisticata! Mi piace molto la borsa e gli elementi decorativi che hai scelto per il servizio fotografico! You look gorgeous on this dress babe. The color suits you well. Questo abito è di un colore meraviglioso!! Ti sta benissimo! Ma questo vestito è stupendo e che colore!! bellissimo questo vestito maxi! Mi piacciano molto anche le foto.